This year The Hubby and I celebrated our 1 year anniversary at Shoushin. It’s hard to believe, but when we first starting dating, he only ate salmon sashimi and only when I dragged him out for sushi. Over our years together, I’ve fed him more and more sushi and he’s grown to enjoy and appreciate many varieties of raw fish. One thing I love about The Hubby, is how how’s willing to give anything a shot. I also love being able to share my love of sushi with him, which is good, because it’s one food I’m always craving. 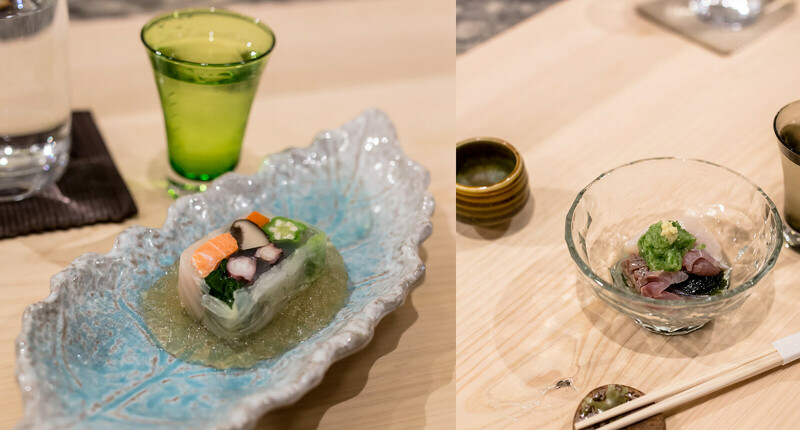 Our dinner at Shoushin was a lovely experience filled with high quality fish and excellent sake. Atmosphere: The interior of Shoushin was zen-like with plenty of light natural wood decor and modern with straight lines and pot lights. 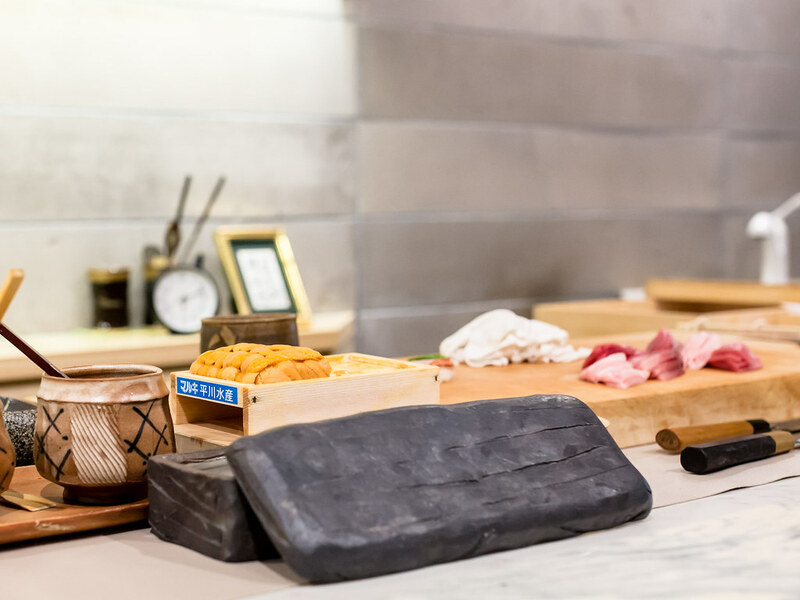 At Shoushin, the sushi bar itself was constructed from a 200 year old Japanese hinoki tree, a wood typically reserved for the construction of shrines, temples and palaces. 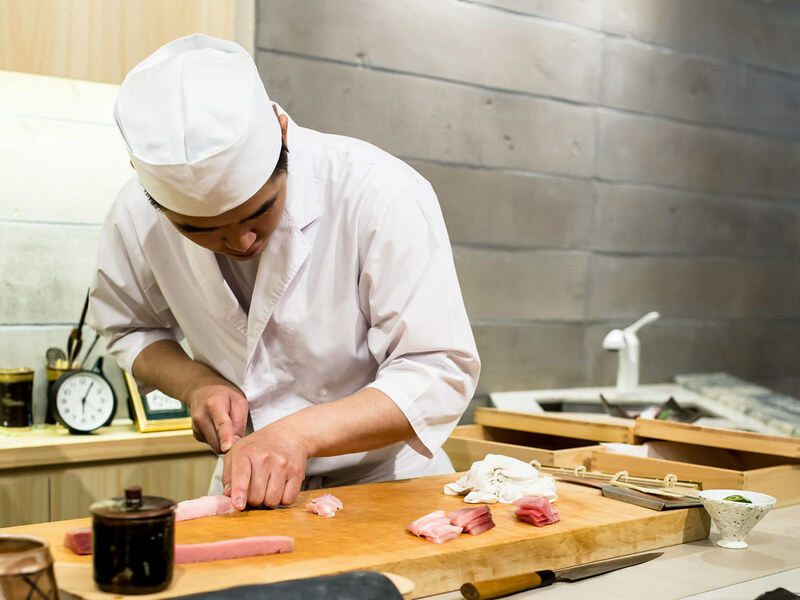 We had the chance to sit at the sushi bar and watch Chef Jackie in action slicing and assembling each piece. There were no set seating times and the seats around us switched over a few times. 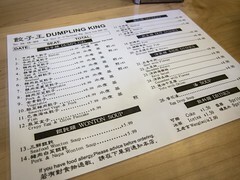 I was impressed with how Chef Jackie multi-tasked, keeping track of where each diner was through their courses. Conversations were hushed and dinner was serene. Service: Throughout dinner we were taken care of by both our server, who was friendly and professional and Chef Jacky. Our server explained the menu, introduced each sake we were served and walked us through all the dishes aside from the sushi course. 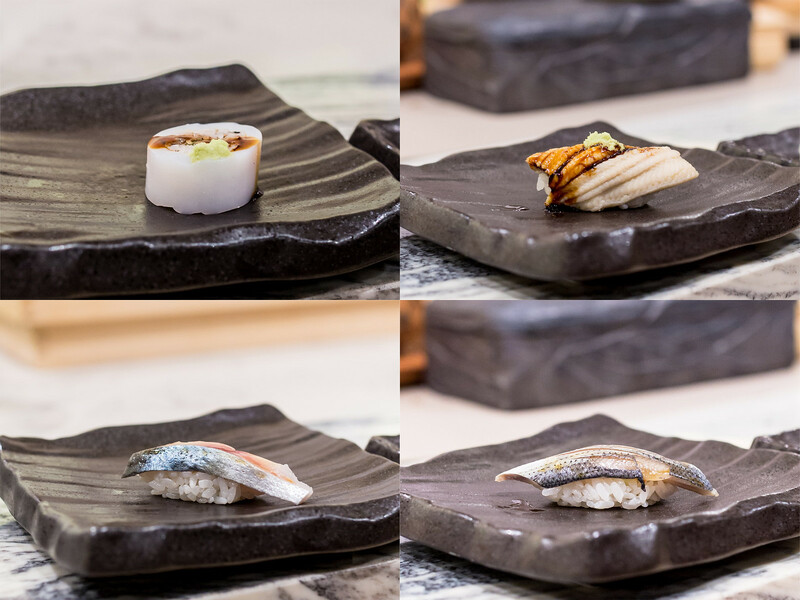 When it came time for the sushi, Chef Jacky introduced each fish as he served the pieces for The Hubby and I, and since we had ordered different set courses, he also explained the difference between the two. 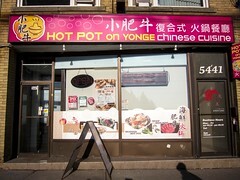 The pace of our dinner was comfortable, not rushed and with no lulls. Although we were pretty quiet, Chef Jacky did answer what questions we had and chatted a bit with us. Mostly, we listened in on his conversation with the couple beside us, regulars to Shoushin. 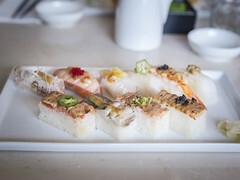 Food: Shoushin offers 4 different omakase menus ranging from $80, offering two appetizers and sushi, to $250, which includes sashimi, caviar and sushi. We opted to try both of the mid-range options, the Yuri at $130 and Sakura at $160 both with sake pairings, an additional $50 and $60 respectively. 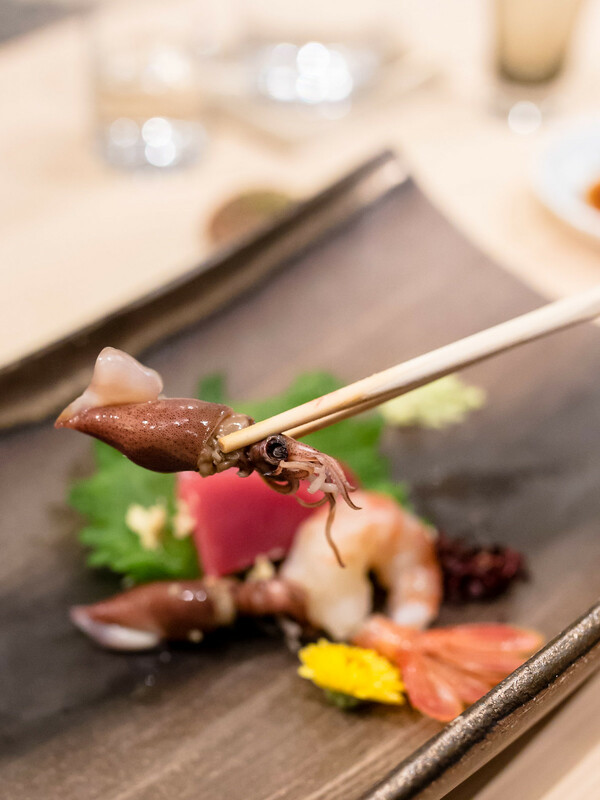 Between the two, the appetizers differed slightly and the Yuri had stuffed squid while the Sakura had Uni from Tokyo. 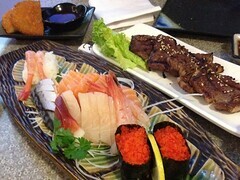 My Sakura set also included o-toro, which I split with The Hubby, and anago, which was so good we ordered an extra piece. 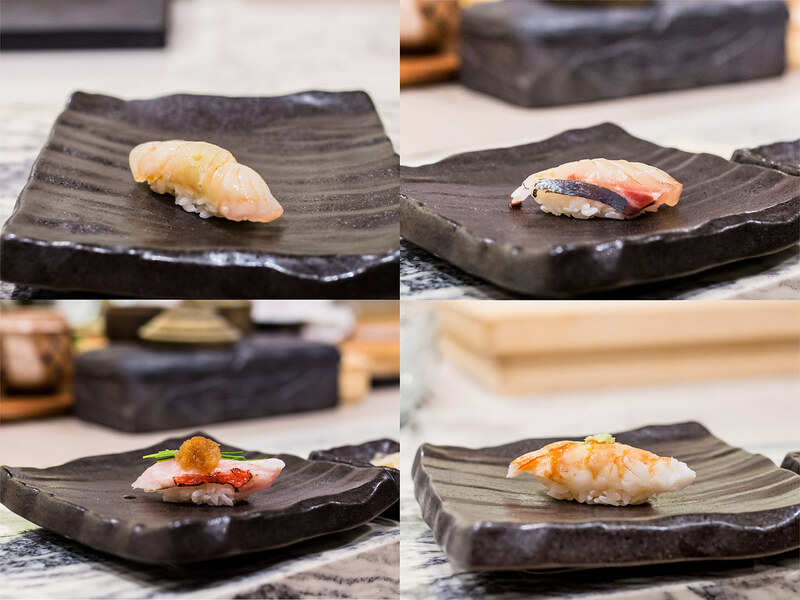 As for the sake, there was no difference between the two courses in terms of quantity or number of pours. As someone with very little knowledge of sake, I only knew I liked my selections slightly more than The Hubbys as they were a touch sweeter. 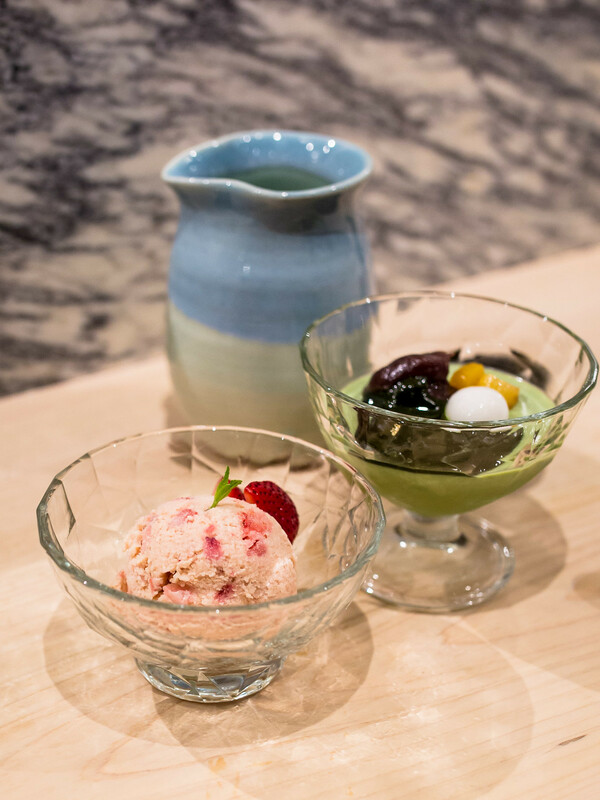 Both set courses began with a cold appetizer. The Hubby had a seafood and vegetable terrine and I had scallop and mackerel in a light vinaigrette. 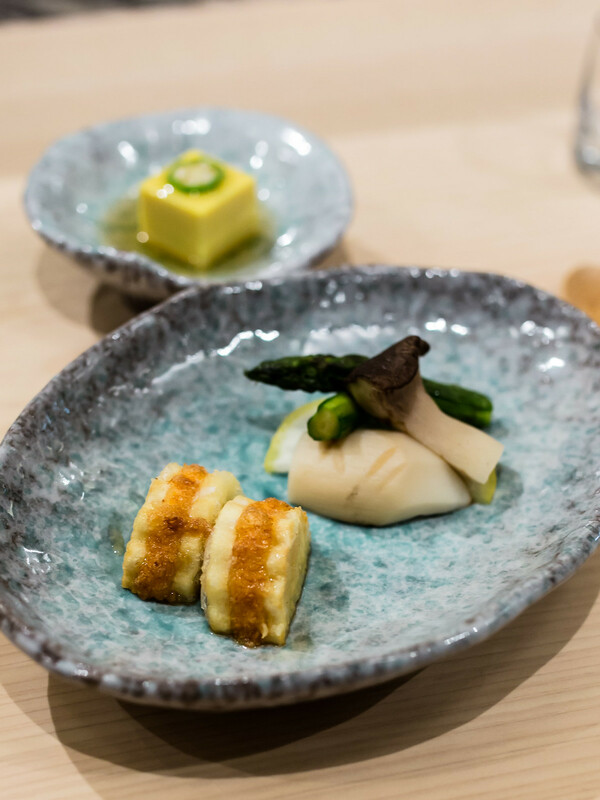 Both dishes were elegant and had a variety of textures and flavours. 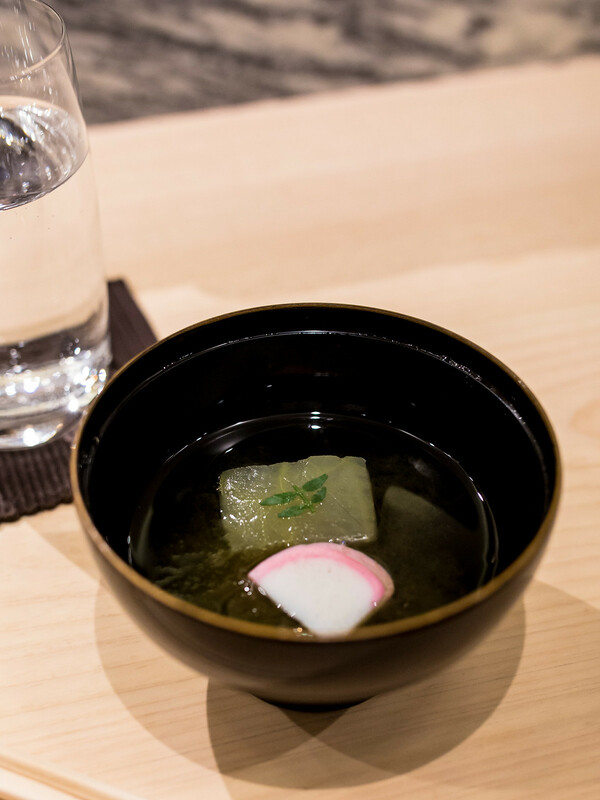 I really liked the slushy bonito broth that the terrine was served on. Next was the sashimi appetizer where our selections of fish varied slightly. Both had firefly squid from Japan, which were delicious and new to me. 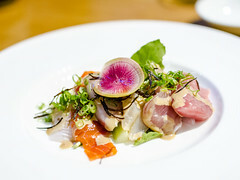 All of the sashimi was tender and sweet, some of the best I’ve had in Toronto. 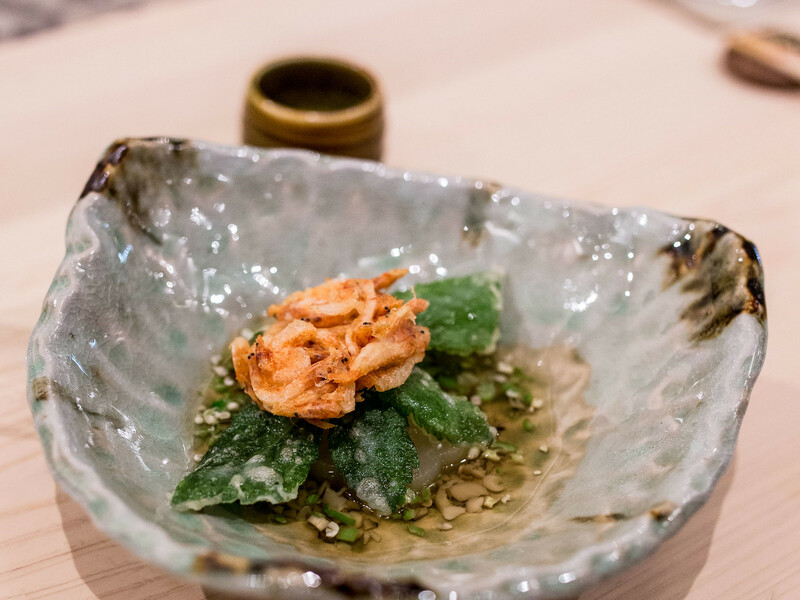 A few more cooked dishes followed before the sushi started, delicate seasonal vegetables, a lightly battered shrimp fritter and a bowl of soup. 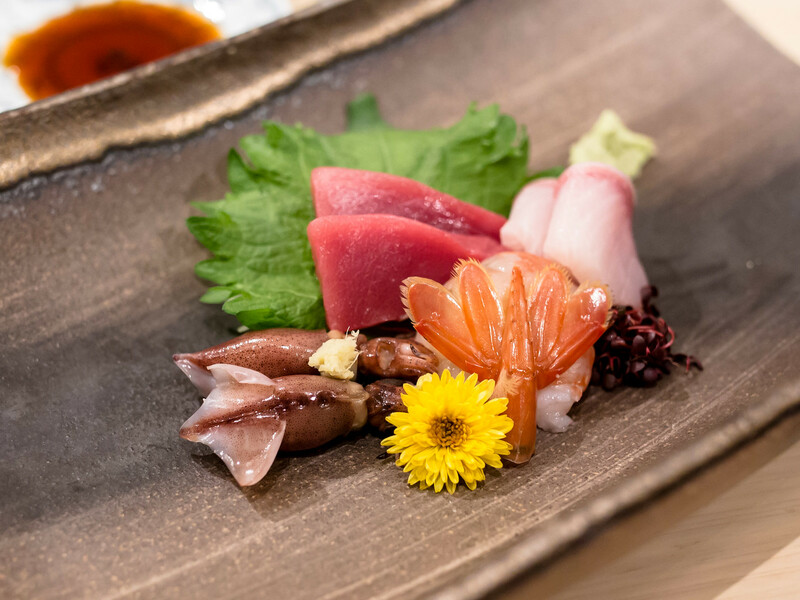 My favourite pieces were the fluke, otoro, anago and horse mackerel. 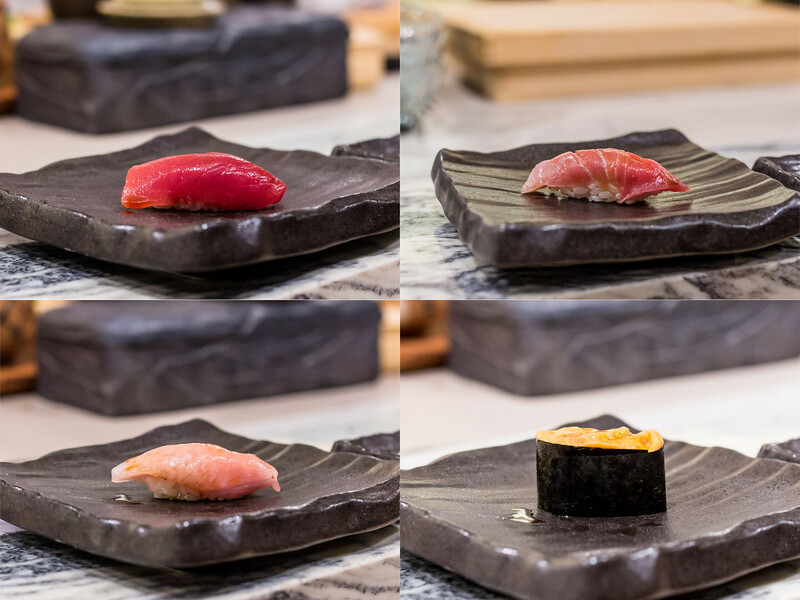 Each fish had their unique flavour and texture but all of them were incredibly fresh and sweet. The one disappointment was the uni, which had a slight aftertaste. 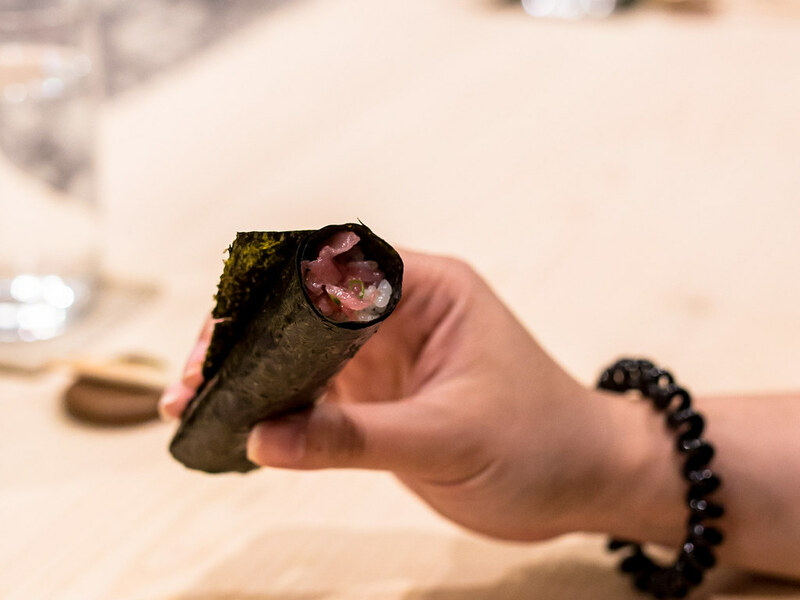 My sakura menu also included a tuna hand roll, wrapped with crisp nori and hand delivered by Chef Jackie. 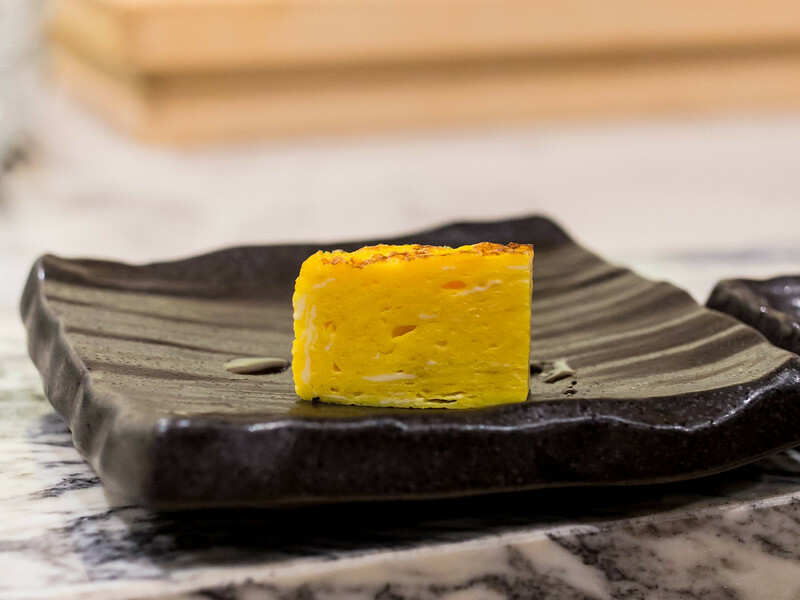 Our sushi course ended perfectly with a piece of fluffy, sweet tamago. Even after all that, there was still dessert. The Hubby and I split a matcha pudding and scoop of strawberry ice cream that had chunks of real strawberries. When given the opportunity to order extra pieces, I had zero room left. Dinner was exceptional, albeit with quite the hefty price tag. I would recommend opting for the sake pairing as the bottles poured were all great compliments to the courses. 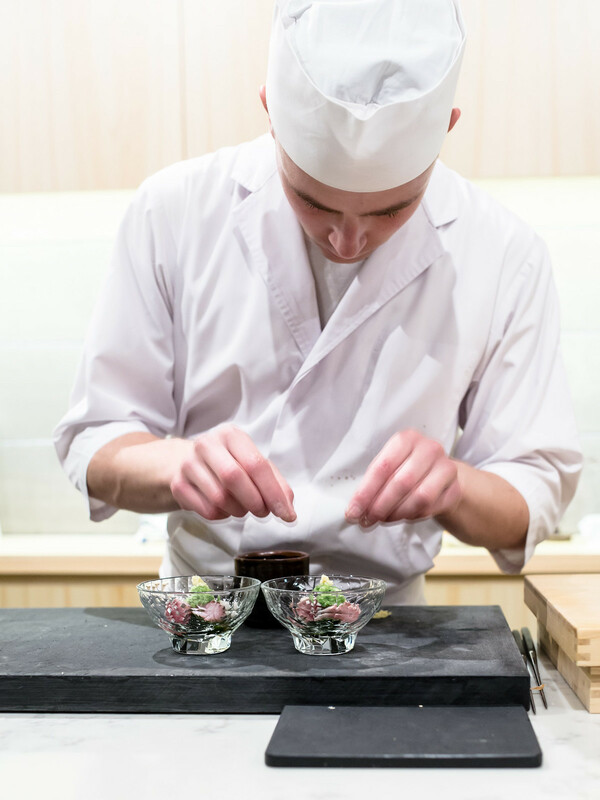 During our sushi course, we were each given a full carafe of sake to enjoy at our leisure that was at least 2 cups. If available, I would also recommend sitting at the chef’s table for a much more personal experience.